Ekta Kapoor is the quintessential queen of telly town. She might not be the face we see everyday, but she is the mind behind it all. Recently, she added one more feather to cap as she announced that she has become a mother of a beautiful baby boy. Going the surrogacy way, after her brother, actor Tusshar Kapoor, she became a mother too. Yesterday she held a naming ceremony for her darling little angel Ravie Kapoor and well, many of our Btown stars were seen in attendance. Big brother Laksshya looked cute as a button dressed in a yellow kurta payjama. Mumma Ekta chose a soft yellow sharara and looked ethereal with her beaming smile. Karan Johar came along with his mom Hiroo Johar who is very close with the Kapoors. 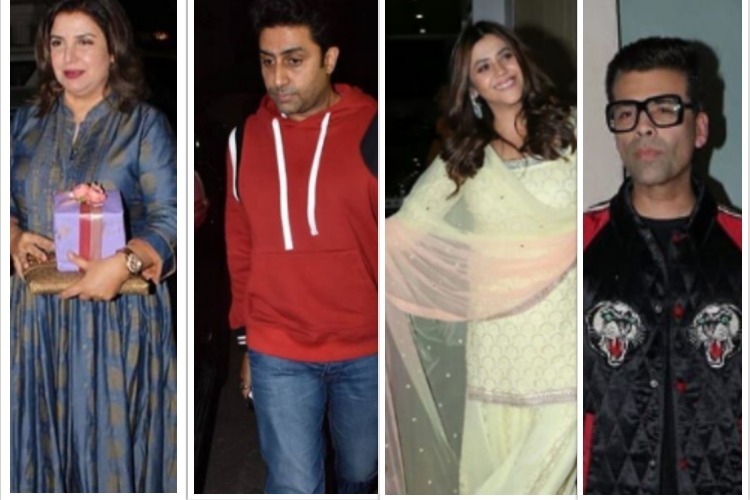 Abhishek Bachchan, Shweta Bachchan Nanda, cabinet minister Smriti Irani, Shamita Shetty, Mouni Roy and many more came to bless the new life. When Ekta announced her blessing, she took to her social media and thanked her doctor for a 7 year long journey. We wish the new mother and her baby all the love and a big congratulations..